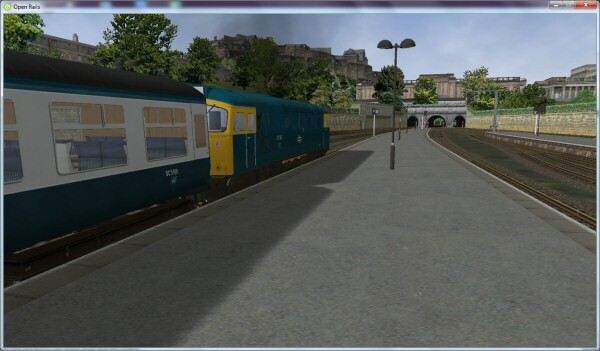 You can try out Open Rails by downloading this model to drive the route from Edinburgh towards Glasgow. Models contain lots of detail and this model, which is cut down from a full-size commercial route, compresses to 250MB. Installation instructions are included. The model, generously donated by Making Tracks Ltd, reproduces the route between the Scottish capitals during the "blue" period of British Rail. Your service is a morning express from Edinburgh Waverley as far as the town of Linlithgow, about 20 minutes running. You can also watch a player driving the route on Open Rails in this video, which provides a voice-over. As mentioned opposite, this route is steam-only and provides some good variety for new players to Open Rails. Now that Open Rails has reached a stage where it can do most of what Microsoft Train Simulator does, attention is shifting to features that only Open Rails can provide. You should expect the lists below to grow. In part this is because the Open Rails platform supports finer graphical detail by accommodating more "polys", with smoother curves and more detailed textures. But also the Development Team has begun to include Open Rails-specific parameters so models can be built which work with the Open Rails simulator in ways which Microsoft Train Simulator ignores. There are more than 40 of these parameters (identified by the prefix "ORTS") which are used to provide features such as more realistic smoke for diesel locos and more realistic performance for steam locos. The Spanish websites Viajeros al Tren and Spain Trainz Rutas are some of the first to offer Open Rails-specific products. Dekosoft Trains have since offered GP30 locos with 3D cabs exclusively for Open Rails. 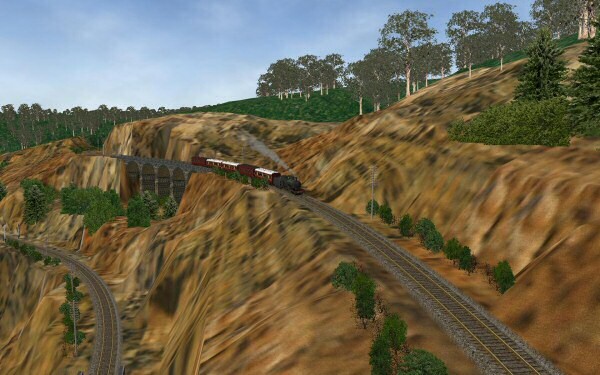 Peter Newell has just released (June 2015) the Great Zig Zag Railway, a steam route for Open Rails v1.0 (this 120MB download requires no other files). A search for "ORTS" or "Open Rails" on Elvas Tower forum finds 146 files. A search for "ORTS" or "Open Rails" on TrainSim forum finds 31 files. A search for "Open" with simulator = OpenRails on UKTrainSim forum finds 6 files.